The air is quiet and serene in a modest city. It seems that Shafurdin Habib did not only capture the landscape, but the emotions and sounds that come along with the scene. One can almost feel the heat of the sun, the soft breeze and the distant and chatter of people. 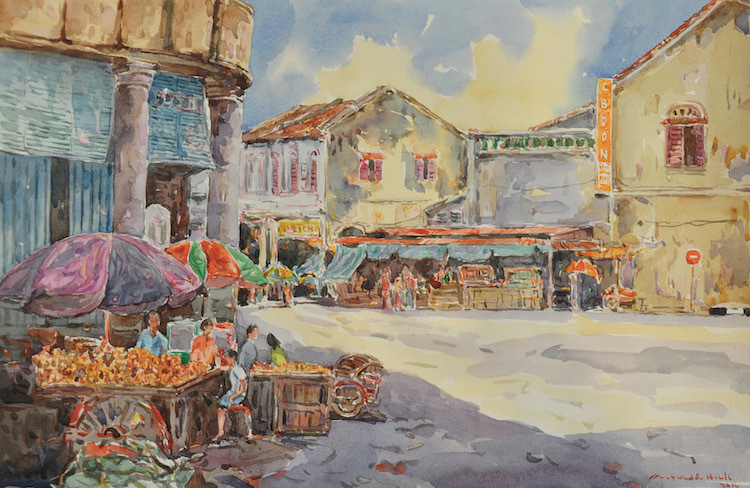 Shafurdin’s longing and love for the charm of a small town is palpable here, as it proves to be long-standing inspiration for his pieces for as long as he has been an artist. He captures beautifully here the mood, the humble town and the all-round delicate, refined yet striking beauty of the location with his artistic skills.